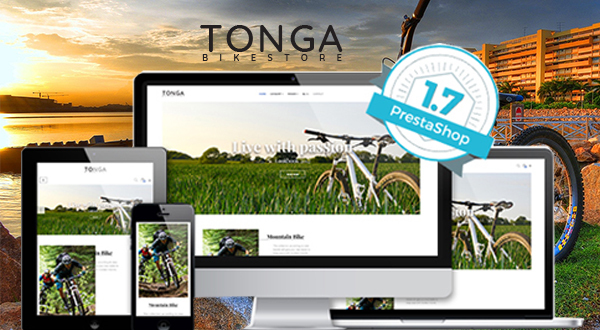 After a long time of researching and updating, we are very happy to finally release the first of our Prestashop theme using version 1.7.0.0 – Ap Tonga, which will open a new path for selling, creating and developing with your favorite Open Source e-commerce platform. Ap Tonga is a multi-purpose Prestashop theme, which is flexibly suitable for many online shop commodities, like bicycle, fashion, shoes, hats and accessories. The theme is also compatible to all devices (PCs, desktops, Tablets and mobiles). Our theme will automatically re-change sizes to display on any kinds of screen neatly and flawlessly. One of outstanding features of this 1.7 version theme is Modules page. A revamped module page to better manage your modules on a daily basis. We introduced tabs, to let you easily navigate between the 3 sections, making it easy to view your installed modules, manage the ones waiting for an action and discover some that can be helpful for your business. Besides, thanks to refreshed back office navigation with an improved UI/UX experience, it is easy to browse. We also create navigation menu so that it will look clearer and organize it in 3 big topics: sell, improve and configure. Last but not least, we create a brand new way to add products to your catalogue, new interface, quick actions, shortcuts and much more… We entirely rebuilt it to showcase the most relevant features and allow merchants to do this task faster than ever. If you want to manage your website in the best way. Ap Tonga is certainly a promised land for your online store.